Dance Fever for Daniel: "Why Dance Fever for Daniel? Dance Fever for Daniel Competition brought to you by Dance Fever Multisport Australia and supported by the Daniel Morcombe Foundation. This competition is a video production that focuses on Child Safety and Movement. Schools that enter into this competition will design, perform and film a video production within their school premises such as school halls, stages, classrooms and playgrounds. There is no competition entry fee. 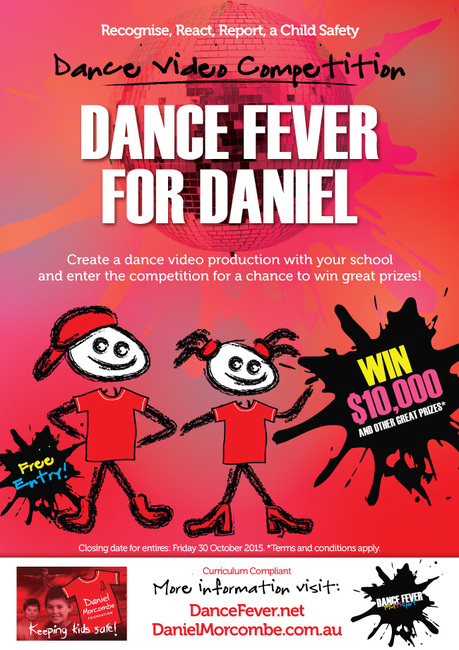 Dance Fever for Daniel Competition video production covers a variety of curriculum content across The Arts and Health and Physical Education within the Australian Curriculum. The aim of this competition is to bring greater awareness and importance of child safety and movement for children within primary schools. This is something both organisations are passionate about and perhaps you are as well. Join with us in this important educational project. 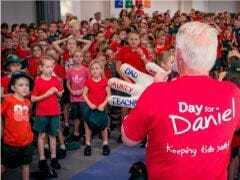 Dance Fever Muiltisport Australia and Daniel Morcombe Foundation"